Kevin swam competitively for 13 years, from elementary school through college, swimming at Binghamton University from 2007 through 2011. He specialized in Backstroke and Freestyle swimming and finaled 11 times at the America East Championships. Throughout his college years Kevin coached various age-group clinics. After graduating, Kevin began coaching for the nationally recognized Albany Starfish Swim Club. In 2013 the American Swim Coaches Association for the Adirondacks LSC named Kevin the Age Group Coach of the Year. 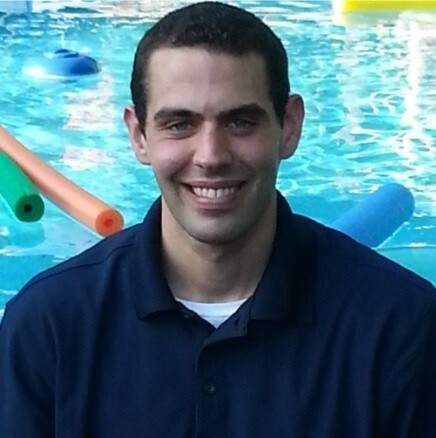 In 2014 Kevin became the assistant coach for the men’s and women’s swim teams at the College of Saint Rose in Albany. Also, in 2018, Kevin and St. Rose swim team head coach Keith Murray founded Excel Aquatics (www.goswimexcel.com) to provide swim training and coaches to athletes of all ages and abilities.